I am so honored to be participating in this month’s challenge and congratulate you on making the powerful decision to break free from processed food. 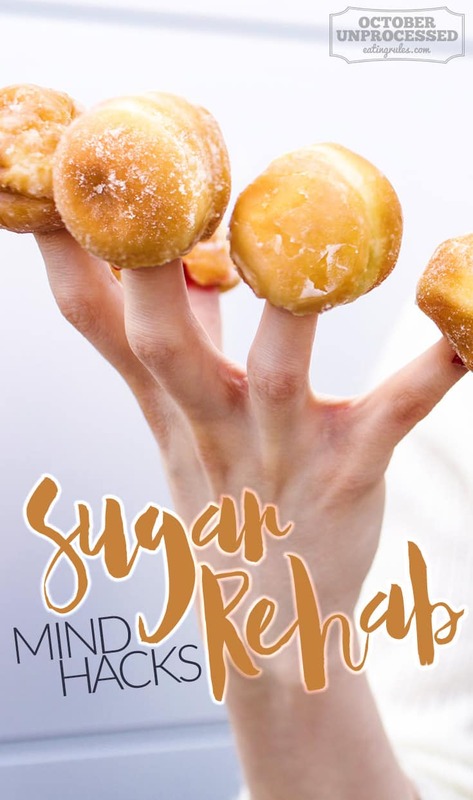 I am here to offer you three mental hacks and a free hypnosis session that will help you rehab from the powerful drug-like impact sugar and some refined foods have on your mind. Do you know that the impact of sugar on the brain is similar to cocaine? Even back in 16th century France, when sugar became a rare and coveted delicacy, it was literally called “Crack.” No wonder that in the last 25 years the consumption of High Fructose Corn Syrup has risen! Mentally: Our mind becomes to expect sugar with certain triggers and agitates us until we feed that expectation. Emotionally: We become hardwired to associate sugar with comfort and love and reach for it as a substitute for the real thing. You have begun taking back your power from sugar on refined foods by being part of this month’s challenge, HURRAY! However, you may be experiencing some physical, mental and emotional withdrawal from coming off of sugar and other refined foods. Let’s look at three simple mind hacks that will help overcome any discomfort or cravings as you move away from processed foods. 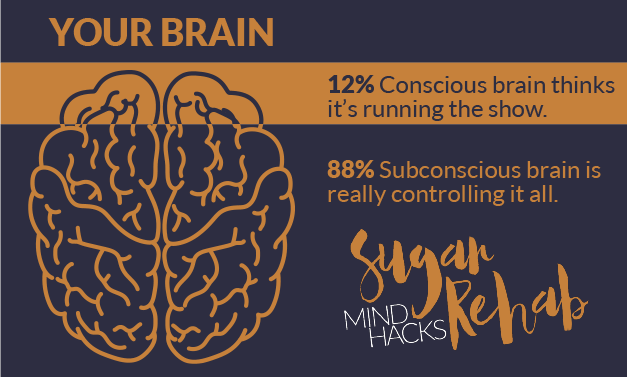 And use the “Curb Your Sugar Craving” hypnosis to make this shift as easy as pie (unprocessed pie, that is). The Physical Sensations of Going Unprocessed: When we are coming off of sugar and processed foods, there are sometimes physical sensations that happen as our body transitions from eating processed foods to a more unprocessed diet. The Challenge: How we communicate or label a life experience is how we live it. So, the words we use are critical. “Withdrawal” is a powerful word and often the mind will go to images of heroin withdrawal (sweating, convulsing, agony). Because of this negative and scary association, when we say “withdrawal from sugar,” it often evokes a feeling of panic or mild anxiety, making the symptoms of coming off of sugar and refined foods worse. The Hack: Instead of being a victim of “withdrawing from sugar,” envision yourself as being the master of “healing” your body. When we focus on the fact that we have chosen to heal ourselves, and that the physical sensations that we are experiencing are the byproduct of a powerful choice we have made to stabilize and nourish ourselves, we shift our internal state from victim-panic-pain to master-calm-capable-in charge. 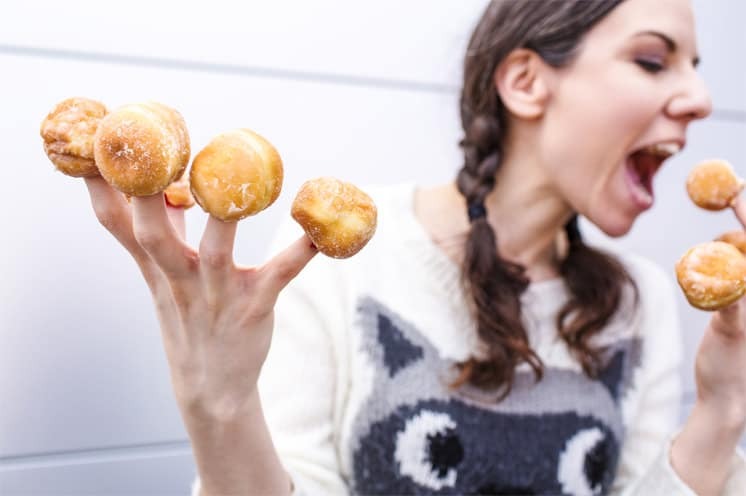 The Habit of Eating Sugar: When we eat sugar, our mind gets a pleasurable hit and then associates the time (and or place) with that particular sugary reward. The Challenge: We are habituated to pick up a ringing phone. When we don’t pick up the phone, our mind becomes agitated. When we pick it up, we feel relief. When we are coming off of sugar, our mind keeps “ringing” for the sugar at those trigger moments causing agitation. We may reach for sugar, not because we want it, so much as because we want the phone to shut up and to feel the relief. The Hack: Focus on what you are going to eat instead of what you are not going to eat. Our mind doesn’t process negatives. If we are “trying not” to eat chocolate after dinner our mind doesn’t hear “trying not” and just hears “chocolate after dinner” and therefore keeps the phone ringing for chocolate. If we focus on eating a piece of fruit instead, and imagine how amazing it will feel to eat the fruit, we engage our deeper mind to enjoy the fruit bypassing the need to ring for the chocolate. The Emotional Use of Sugar: When we feel stress and emotions, we often unconsciously reach for sugar as the quick comfort cure. The Challenge: We stop looking for the root of the emotion and just get used to mindlessly using sugar to candy-coat our troubles. The problem is, it doesn’t really solve the deeper need, so we keep reaching for more sugar in a vicious cycle. The Hack: Use your time during October Unprocessed to really give yourself deeper and more effective self -soothing. Come up with ways of comforting yourself other than sugar and refined comfort food and show your brain real methods to soothe your deeper needs. Sit and grant yourself permission just to close your eyes for 5 minutes. Listen to the Curb Your Sugar Craving hypnosis session. The part of our mind that is resistant to change is our subconscious. Right now your beliefs, habits, and emotional protection that create your current need for sugar exist in your subconscious. That is why it has been hard to change your relationship with sugar. Hypnosis is an easy and relaxed mind state that allows us to communicate more directly with the subconscious to help make deeper and more lasting change. 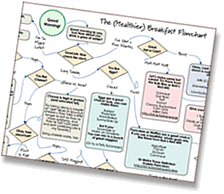 If you have never tried hypnosis, you can try it now, for free. I will send you a 15-minute guided hypnosis session specifically targeting the strong pull sugar and sugary carbs has on your mind. Break the unconscious spell sugar and sweets have on you. Create mental barriers between you and sugar. Shift your relationship to sugar from slave to master. Help your deeper mind disconnect from the need for sugar and reconnect to healthier choices. You will receive a short pre-hypnosis session explaining a little more about hypnosis and what you can expect during your session. Then, find a quiet spot, relax into your hypnosis session, and let your mind do the work. I hope you find the hacks and hypnosis useful. Our minds are powerful when we learn to focus them in the right way. Thanks for letting me join you on your October Unprocessed Journey and thanks Andrew for creating the space for us all to take back our power from processed foods! Rita Black is a certified clinical hypnotherapist, author, seminar leader, speaker and an expert in the psychology of weight management and smoking cessation. For the past two decades, as the director of Shift Hypnosis, Rita has become renowned for helping clients from all over the world with her hypnosis-based Stop Smoking in One Session and her Shift Weight Mastery Processes. Rita knows the struggle with weight personally. For almost 20 years she struggled up and down the scale 40+ pounds. She finally found freedom from the pain, frustration and weight with the use of hypnosis. Her mission is to help people shift out of their struggle with weight (and themselves) and into slim and healthy “Weight Mastery”. Her best-selling book: From Fat to Thin Thinking: Make the Shift in 30 Days, is available on Amazon and includes her renowned 30-day hypnosis-based weight loss program. Rita’s smoking cessation program, Smoke Free 123, will be available online in November. Visit her website, Shift Weight Mastery, on reach her on Facebook or (877) 221-7251. Thanks for this helpful post. Over the last few years, I have discovered food intolerances (gluten, eggs, dairy, etc.) that keep me from eating many of my favorite foods. And while you may consider this to go against your don’t-be-a-victim hack, what I do is visualize how I will feel if I eat that food. I ask myself is it really worth a monster headache and nausea or a week of bad skin. That has kept me on a very strict, self-governed diet. While I have literally cried, thinking about the pizza I can’t eat, I’ve learned to enjoy a whole different type of diet because that is my reality. Thanks for sharing, Adair. I also find the “future projection” of reminding myself how I’ll feel after I eat something (whether good or bad) to be a very useful tool. Adair–it sounds like you have done some powerful inner work. Dealing with food intolerances is never easy.Even though there are foods you love that may be out of reach I agree with Andrew that there are always usually something that is in the same “flavor and texture profile” that you can find and enjoy. Our journey with food and health may not always be easy but it does offer us an opportunity to have a powerful and fulfilling relationship with ourselves and our bodies that we may not have had–had we not taken the journey. Good luck with everything. I have never found a very satisfying option for that type of cheese. Of the spreadable types, there are several like Kite Hill (almond milk), but I’m not a big fan of Daiya hard cheeses (too many processed ingredients). What are good alternatives? I don’t want to substitute other sugars for cane sugar but eliminate that too. I have cravings for any of these sugars. And something different like green beans does not excite me. Are there suggestions that would excite my palate?